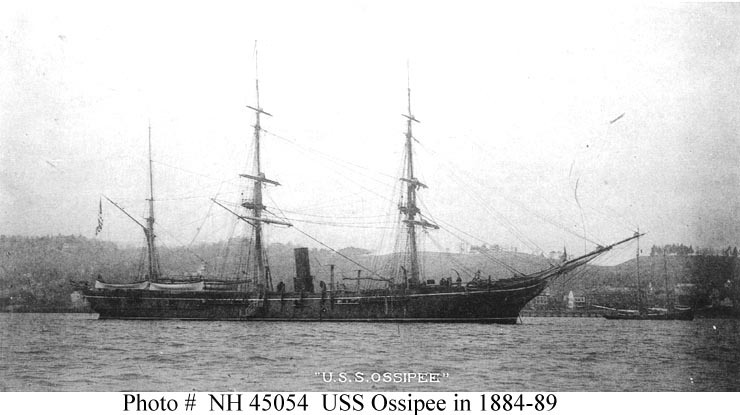 Type and Characteristics - Single screw, wooden-hulled sloop, Ossipee-class, built by Portsmouth Navy Yard, Portsmouth, NH, laid down June 1861, launched 16 November 1861, commissioned 6 November 1862, 1,240 tons, 207ft long x 38ft beam x 16ft 10in draft, 10kts, armed with 1-100pdr Parrott rifled, 1-11in Dahlgren smoothbore, 3-30pdr Dahlgren rifled, 6-32pdrs, 1 heavy 12pdr smoothbore, and 1-12pdr rifled guns (Conways - 1-6.4in or 100pdr, 3-4.2in or 30pdr Parrott RML and 1-11in/6-32pdr smoothbore guns), 141 crew, first commanded by Lt Cdr Robert Boyd. Log Period and Areas of Service - 1862-1891, Civil War, North Pacific, coasts of Central America, Alaskan waters, North Atlantic, Asiatic Squadron, West Indies. 6 November 1862 – Tour of duty on the North Atlantic Blockading Squadron, Capt. John P. Gillis in command. 18 May 1863 – Joined the West Gulf Blockading Squadron off Mobile, Alabama, and the coast of Texas. 5 August 1864 – Joined the Battle of Mobile Bay with Admiral Farragut. September 1864 – Returned to blockade duty off the Texas coast. April 1865 – Moved to blockade duty off New Orleans. 3 July 1865 – Decommissioned at Philadelphia. 27 October 1866 – Recommissioned, Capt. George F. Emmons in command; tour of duty along the coasts of Mexico and Central America. 27 September 1867 – Sailed for Sitka, Alaska, carrying Russian Commissioners for the ceremony transferring that territory to the United States on 18 October 1867; remained on duty in Alaskan waters. 30 November 1872 – Decommissioned at New York. 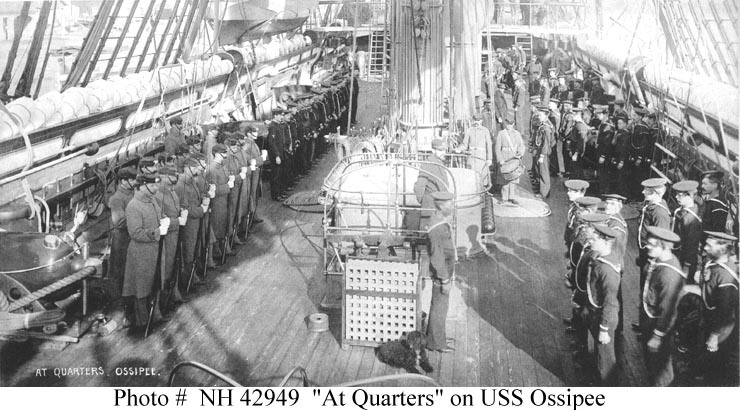 10 October 1873 – Tour of duty in the North Atlantic. 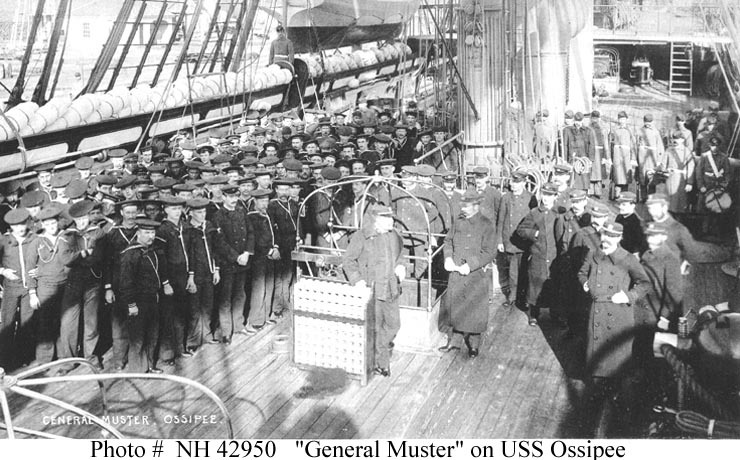 25 May 1878 – Decommissioned at Boston. 28 January 1884 – Sailed via Gibraltar and the Suez Canal for service on the Asiatic station. 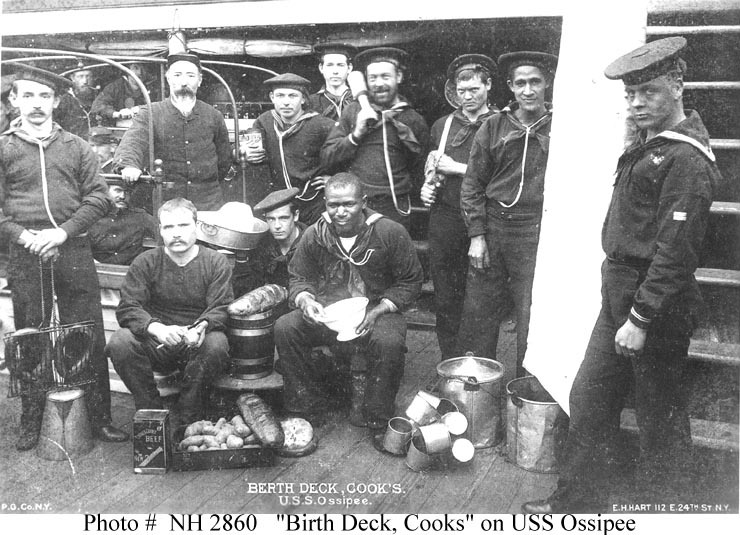 15 February 1887 – Returned to New York, and served along the Atlantic coast and in the West Indies. Fate - Decommissioned at Norfolk in November 1889, sold there March 1891.